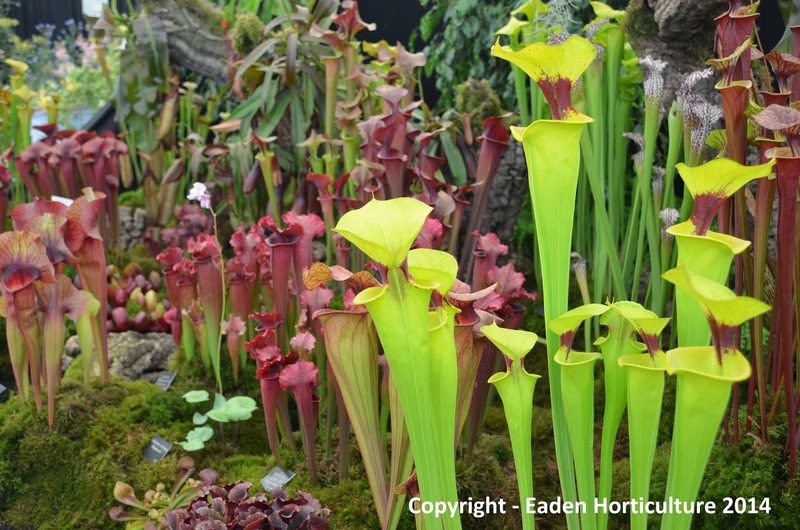 Pitch plants are among some of the most unusual and exotic looking plants that you can grow and the North American pitcher plants - Sarracenia species include some of the hardiest species available. The strange shape that typifies a pitcher plant has evolved as a result of its nutrient poor environment. 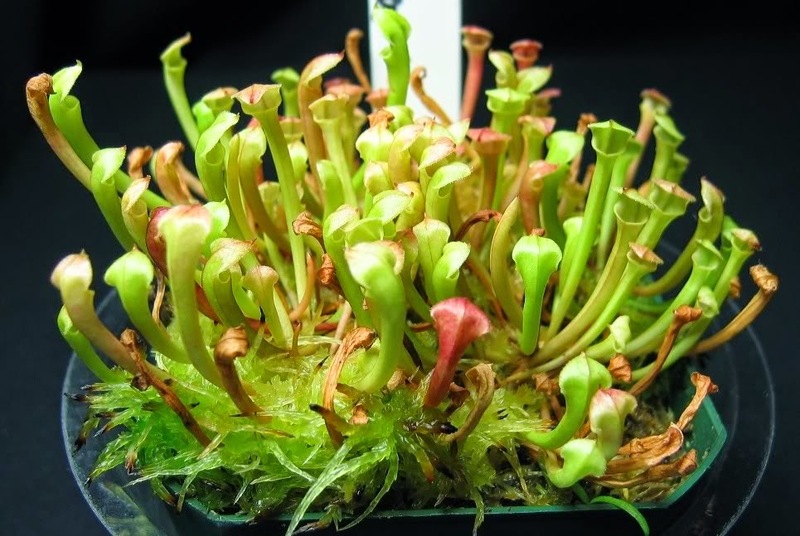 In common with most carnivorous plants, pitcher plants have adapted to supplementing its nitrogen requirements through being carnivorous, which helps to compensate for the lack of available nitrogen in such habitats. The best time to sow pitcher plant seeds is from December to March and you will first require an acidic compost with virtually no nutrients. Sphagnum moss peat compost or salt free coir will probably be your best options and you can also consider mixing some perlite or horticultural grit into the compost to improve aeration. Using a number of 4 inch plastic pots, fill with your chosen compost and then gently water with distilled water or clean rain water. Avoid using tap water as this contains chlorine and other minerals which can damage the sensitive roots. Sow the pitcher plant seeds on the surface but do not cover with more compost as this will inhibit germination. Now stand the pots in a cold frame, cold glasshouse or sheltered spot outside, placed in a tray of distilled water or rainwater. Remove any leaves or debris that may fall into the water or periodically change the old water for fresh. 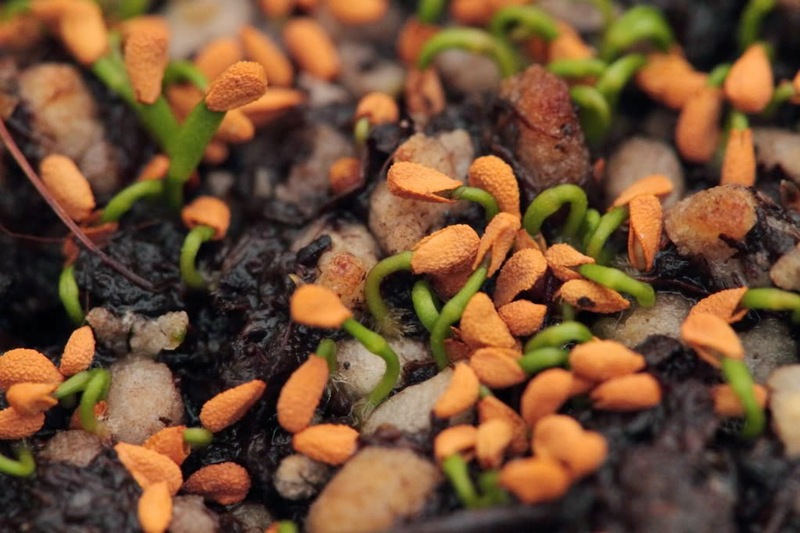 The seedlings should begin to emerge in early summer. When they large enough to handle, carefully transplant each seedlings into its own 3 inch pot using the same compost mix as before. Avoid any damage to the roots. From there they can be potted on as required into 5 inch and finally 8 inch pots, always keeping the compost moist and only ever using distilled or clean rainwater. Once all threats of late frosts have passed, harden off pitcher plants for a week or so before placing outside permanently in a sunny position. Never feed pitcher plants with plant fertilizers and always allow pots to drain after watering as heavily waterlogged can cause the roots to rot, particularly during cold weather. Over the winter months the more tender pitcher plants should be brought into a frost free greenhouse, conservatory or cool, bright windowsill indoors where they will go dormant over the winter. Reduce watering during this dormant period but still keep it on the moist side. Never allow the compost to dry out or become waterlogged soil. During dormancy some pitcher plants may turn brown, no not worry as these can be trimmed away in the spring when the new growth emerges.